Receive an average of 55-88 new leads per month to your inbox from proven ad campaigns run by our experts. We’ll manage your ads with our proprietary targeting methods that produce costs 3x lower than the average Facebook ad cost industry-wide. 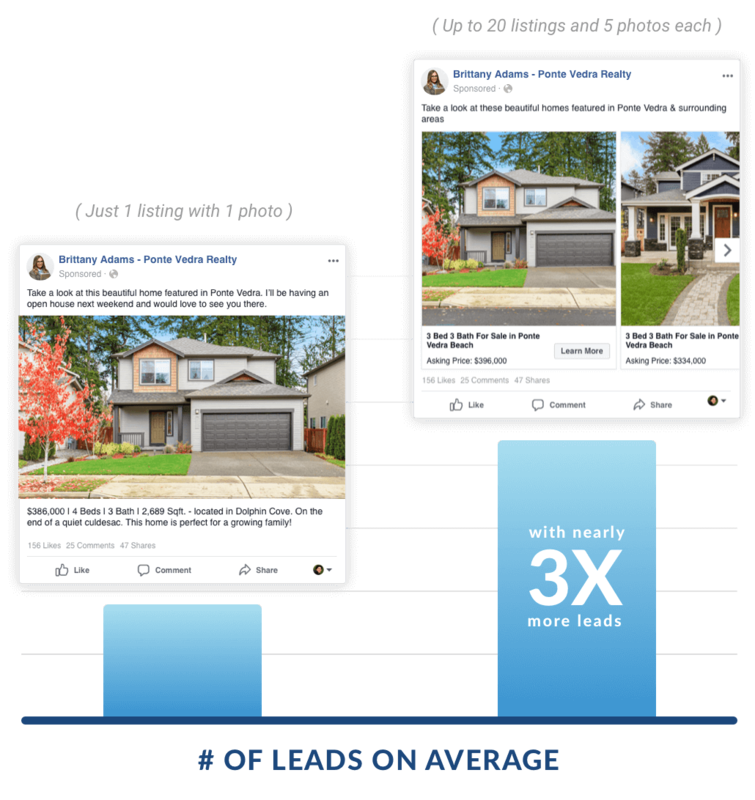 Showing more listings per ad campaign ensures that you’ll get more leads at a lower cost per lead than the average listing ad. Have a listing or open house you need to promote? Want to display your catalog of properties? We can do it all! From single image to video ads to dynamic carousel ads, our ad managers take the hassle out of advertising. You tell us what you want to promote and we do the rest. Built in lead capture forms allow us to capture accurate contact information for each lead. Information from each person who clicks is auto imported to the form, making capture rates much higher than traditional ads. You’ll also receive an instant lead notification with your lead’s info for quick and easy follow-up. View and manage all of your leads in your own Lead Dashboard. 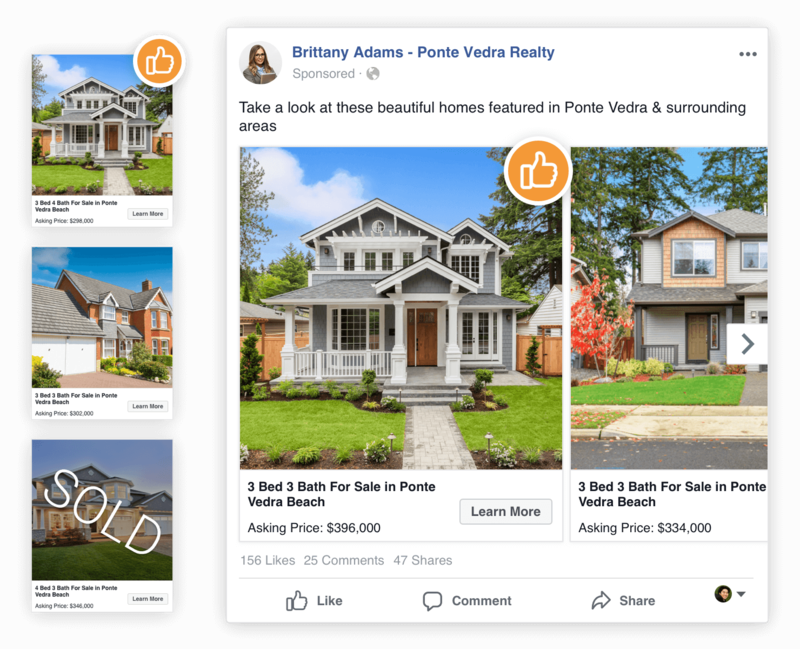 We’ll display up to 20 listings per campaign with 5 listing photos for each listing, attracting attention from a broader audience- increasing the likelihood of capturing leads. These campaigns generate an average of 60% higher conversions than standard ads with a 55% lower cost per conversion. 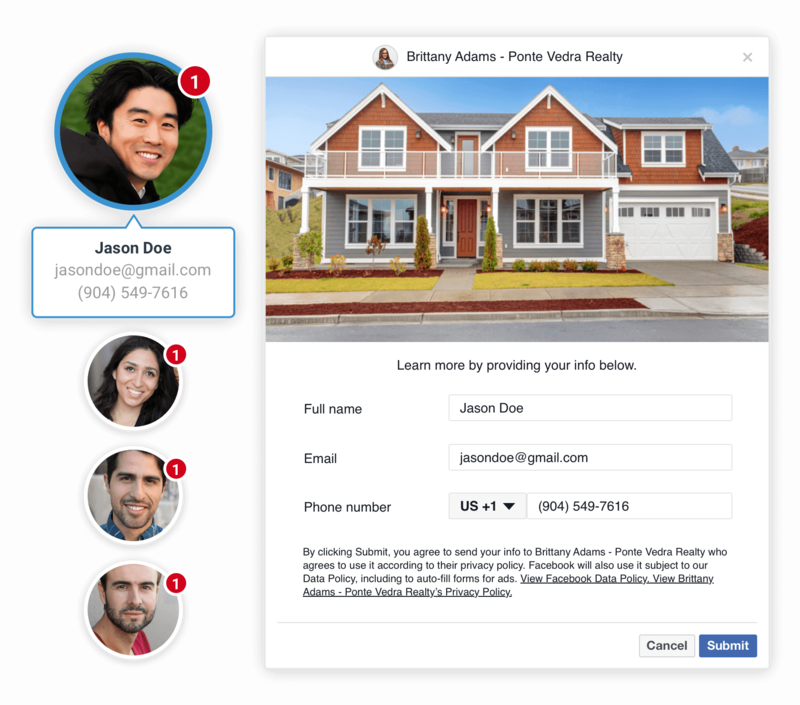 Our Dynamic Ads automatically update information straight from your MLS daily, so you’ll never waste money on advertising listings that are under contract or sold. See what some of our all-star agents are saying about us.